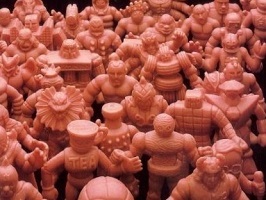 One of the realities of collecting M.U.S.C.L.E. items is that occasionally there is a lull in the market. It appears that collectors are currently stuck in one of those lulls. 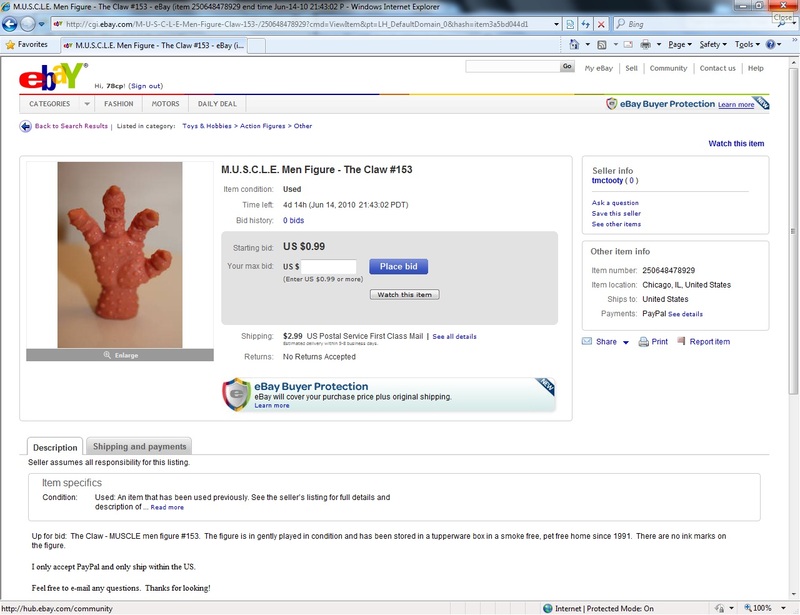 The spotlighted auction, M.U.S.C.L.E. Men Figure – The Claw #153, is not notable for its uniqueness, silliness, or any other polarizing adjective. Instead it is notable for because it features the most popular figure (#153) in a reasonable auction. 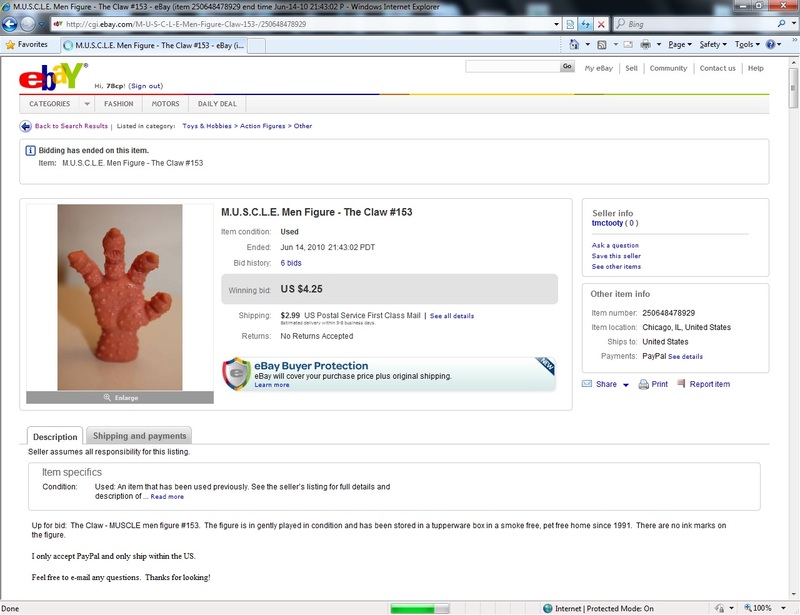 The starting bid is fair, the shipping is acceptable, the description is sufficient, and the picture is clear. The only negative aspect of the auction is that the seller has no feedback – which is not an issue on such a low risk item. Claw (#153) Madness, Auction Watch #24, and Auction Watch #35). This auction provides an anecdotal look at the low end of #153 auctions and an opportunity to gauge the current price-excitability of a single Flesh figure. This auction will sell for $3.50. Follow-Up: The final price of the first auction was $4.25, which was $0.75 more than predicted. This entry was posted on Friday, June 11th, 2010 and is filed under Auction Watch, UofM News. You can follow any responses to this entry through RSS 2.0. You can skip to the end and leave a response. Pinging is currently not allowed.